The Australian National University (ANU) Medical School and the Academic Unit of General Practice (AUGP) proudly advise that applications are now open for the 2018 Robert Graham Centre International Visiting Fellowship. The ANU Medical School through AUGP and in collaboration with the Robert Graham Centre (RGC) in Washington DC, are proud to offer a research Fellowship of 4-6 weeks duration in November to December 2018. 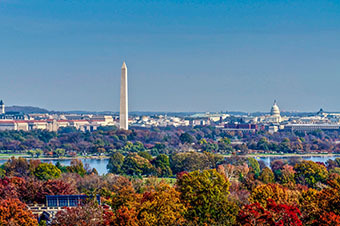 The successful International Visiting Fellow will visit the RGC in Washington DC to undertake a research project relevant to the RGC, the Australian primary health care sector and the work of the AUGP. Applicants will need to frame their research proposal on the examination of a US policy of interest based on data interpretation and identify lessons to be learnt for the Australian primary health care environment in this time of health reform. The AUGP will provide up to $10,000 AUD to support travel, accommodation costs and living expenses associated with the Fellowship. The Fellow’s research centre will provide in-kind support for the research. Preference will be given to General Practitioners with demonstrated research interest; however, applicants with a strong link to primary health care research, policy and practice from other disciplines will be given equal consideration. The International Visiting Fellowship was endorsed prior to closure of the Australian Primary Health Care Research Institute (APHCRI) which was hosted by the ANU and funded through the Australian Government Primary Health Care Research Evaluation and Development (PHCRED) strategy. APHCRI’s mandate was to provide national leadership in improving the quality and effectiveness of primary health care through the conduct of high quality, priority-driven research and the support and promotion of best practice among health services. The Fellowship honours APHCRI’s commitments to the Australian and international primary health care research community. Information for applicants and the application form are available upon request from Brigid.Cassells@anu.edu.au. Applications are to be submitted using the application form. The closing date for receipt of applications to the 2018 AUGP – Robert Graham Centre International Visiting Fellowship is strictly 5 pm, AEST, Friday 27 October 2017 as per the instructions provided in the documentation. For enquiries, please contact Professor Kirsty Douglas, Kirsty.a.douglas@anu.edu.au.